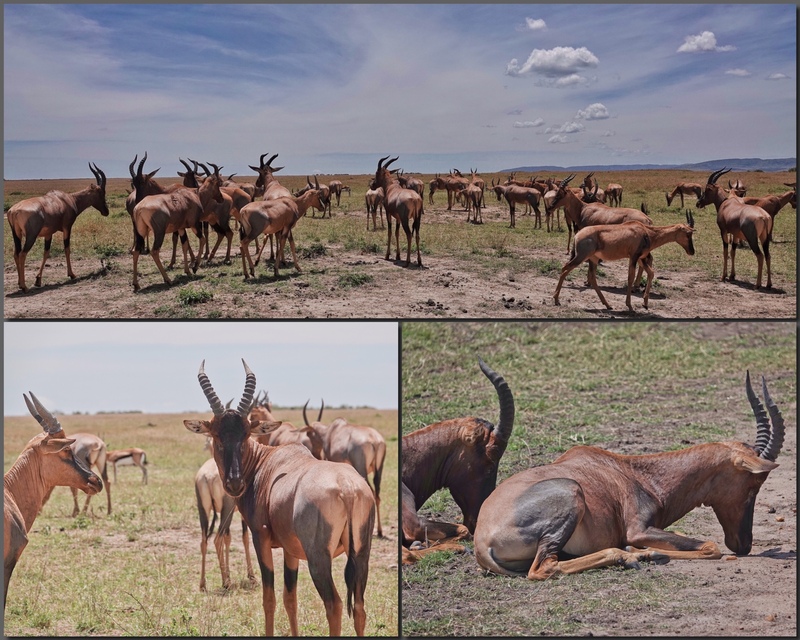 Topi are another big boned African antelope species. We found these in the Masai Mara reserve. They are generally found in groups of up to 14…a dominant buck and his haram and children. They “rest” in a characteristic pose, with their noses on the ground supporting their heads and horns. The light of Equatorial Africa is always amazing. Sony RX10iv at about 32mm and 600mm equivalents. Program mode. Processed in Polarr. Panel assembled in FrameMagic.